Crypts contain more than just human remains. These subterranean skeleton sanctuaries hold secrets. Artistic masterpieces, relics, and even evidence of disease have been recovered from crypts. These mysterious artifacts tantalize archaeologists with the window they provide into the deceased’s world. Many more enigmas await discovery in the shadows of crypts. 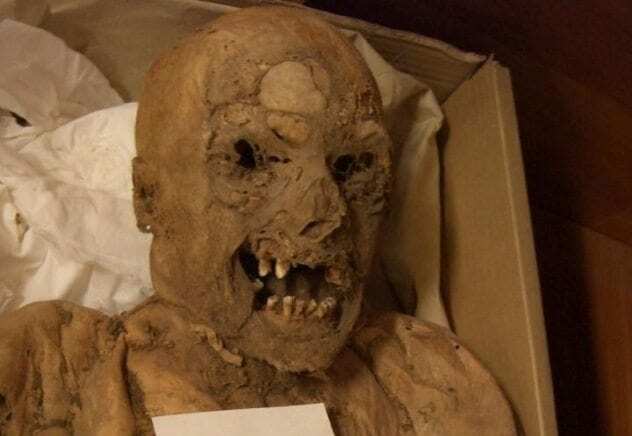 In 2015, researchers found 20 death masks in an ancient crypt in Siberia’s Kemerovo region. The tomb belonged to the enigmatic Tashtyk people, warriors who controlled large portions of Siberia between 300 BC and AD 500. The crypt was dug into the ground, surrounded by a stone wall, and covered with a log roof. The massive burial pit took two years to excavate. Archaeologists discovered the remains of 30 people who had been cremated and placed inside dummy bodies made of fabric and leather. 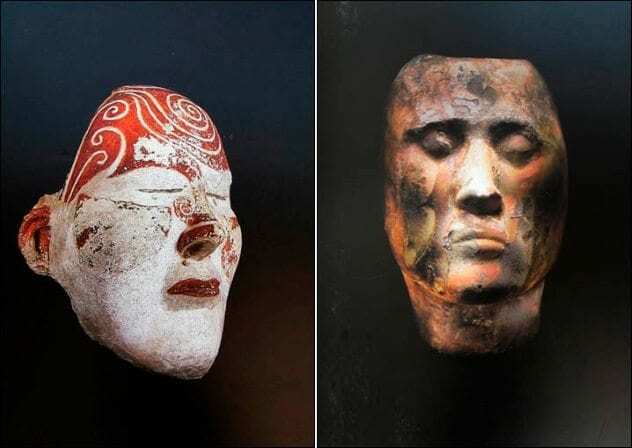 “Death masks” of gypsum provided the dummies’ faces. Some were surprised to find that the Tashtyk death masks have stereotypically European features. The remains of children were discovered outside the tomb. None of the youngsters had death masks. Gypsum is a soft mineral, so many of the masks are in fragments. However, experts believe they may be able to piece together the broken faces. In 2009, archaeologists discovered seven mummies in a 900-year-old crypt with walls covered in magical inscriptions. The naturally preserved remains came from deep within a monastery in Old Dongola, the capital of the medieval kingdom of Makuria in modern-day Sudan. The crypt contained the remains of seven males, all over age 40. The burial chamber was sealed with bricks and mud mortar. 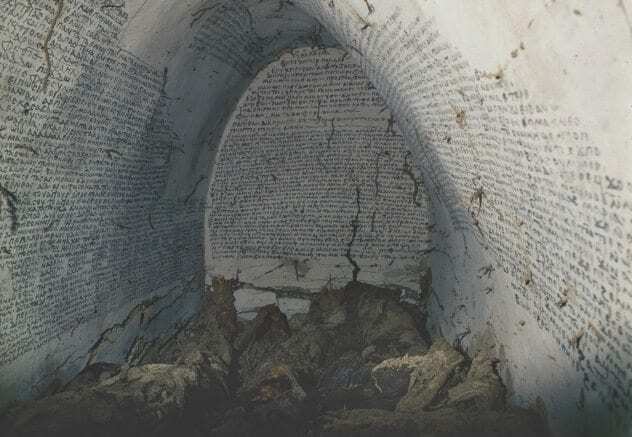 Black ink inscriptions in Sahidic Coptic and Greek cloak the crypt’s whitewashed walls. There are Gospel excerpts along with magical names and symbols, which are believed to have been intended to protect the dead from malicious forces. Tradition held that the recently deceased were in a state of flux and were vulnerable before they faced judgment. The crypt was first located in 1933, but excavations would not occur until over 70 years later. Experts believe one of the mummies might be Archbishop Georgios, one of the most powerful Christians in Makuria. 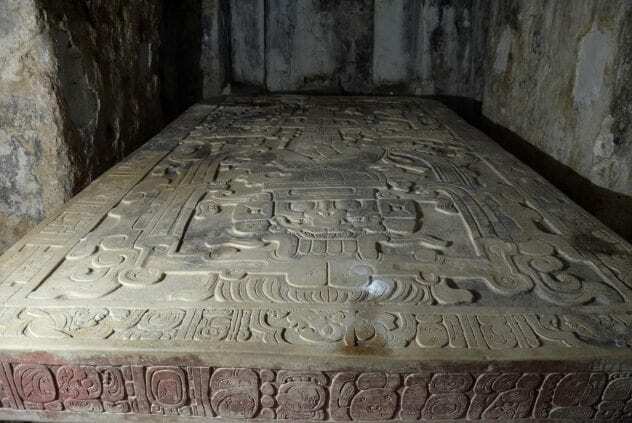 Archaeologists believe they may have found a piece of the Buddha’s skull in a 1,000-year-old chest discovered in a crypt beneath Grand Bao’en Temple in Nanjing, China. The stupa not only contained what might be the skull of the Buddha, but it was filled with the bones of other Buddhist saints. The box was constructed of carved sandalwood, covered in silver and gold, and encrusted with crystal, glass, lapis lazuli, and agate. Inscriptions reveal that the stupa was made during Emperor Zhenzong’s reign (AD 997–1022) during the Song Dynasty. The stupa was nestled within an iron box, which in turn was housed in a stone chest. According to tradition, when the Buddha was cremated, King Ashoka of India decided to divide the saint’s body into 84,000 equal shares. 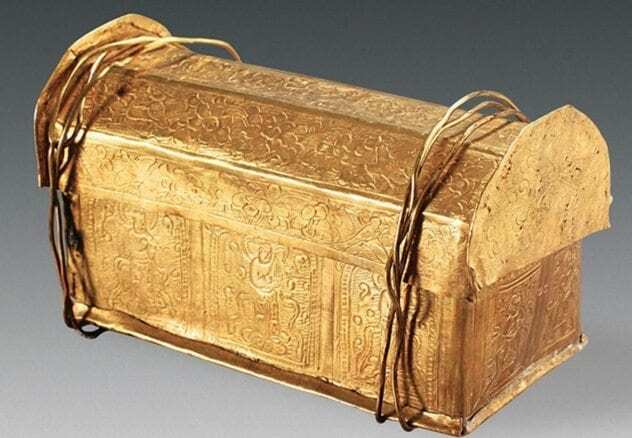 China received 19 of these, including the Buddha’s parietal bone. The remains were originally housed in another temple, which was destroyed in warfare 1,400 years ago. In 1995, archaeologists unearthed an 18th-century Hungarian mummy that is revolutionizing the study of cancer. The naturally preserved remains were discovered in the sealed crypt of a Dominican church in Vac. Roughly 260 mummified remains were found in total. A team of Israeli researchers tested the corpses to see if they were carriers of cancer-causing genes. In one individual, they discovered a mutation in the APC gene, which is known to cause an increased risk of colon cancer. What the findings suggest is that a predisposition existed before the disease became a serious health issue. Today, colorectal cancer is the third most common form of cancer. Most consider it to be a modern disease that results from a lack of activity, processed foods, and a longer life expectancy. The presence of the mutated gene in other mummies would indicate that genetic inheritance might be even more important than environment. 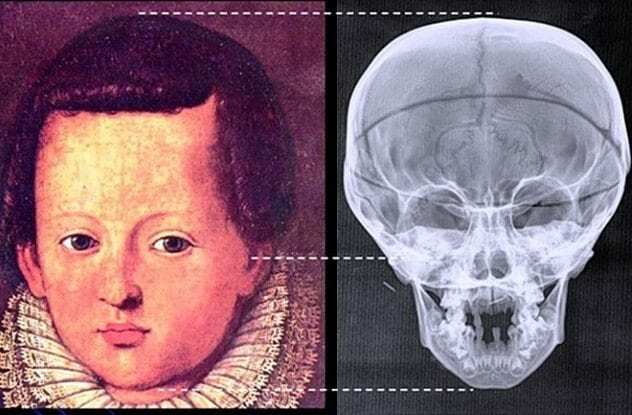 In 2004, archaeologists discovered a secret crypt belonging to Italy’s powerful Medici family. During an earlier exploration of a known Medici crypt, experts were shocked to discover that the grave of the last Medici, Grand Duke Gian Gastone, was empty. In an attempt to find the missing corpse, they discovered a clandestine chamber behind the main altar of Florence’s Church of San Lorenzo. Researchers lifted a stone slab to reveal steps leading to the hidden crypt. The secret chamber contained one adult coffin, which held Gastone, and eight child coffins. All of the children’s bones showed signs of rickets. This is likely due to a lack of vitamin D in their diet. Being sheltered indoors under thick, pale makeup didn’t help their absorption of this necessary element. Researchers cannot identify some of the dead youngsters. It is likely that at least some of them are illegitimate children. In an Egyptian crypt, archaeologists recently unearthed what might be the oldest depiction of Jesus. Located in the ancient city of Oxyrhynchus, the mysterious underground structure could only be accessed once researchers removed 45 tons of stone. The walls of the crypt contained six layers of paint. The last was from the period of the early Coptic Christians. 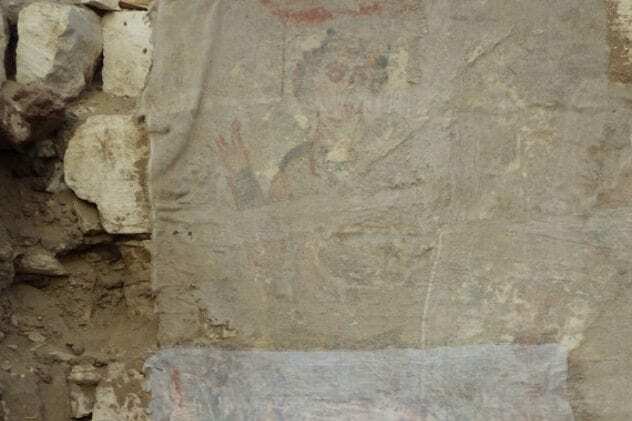 One painting drew experts’ attention: The mysterious image shows a tunic-clad young man with curly hair performing a blessing. Some believe this is the earliest known likeness of Christ. However, until researchers translate cryptic inscriptions around the figure, the man’s identity remains a mystery. The crypt belongs to a 17-year-old scribe and a family of priests. Archaeologists report that they haven’t had time yet to explore another mysterious space attached to the crypt. They have no idea what they will find in the new hidden chamber. The secret opening to the crypt of Pakal II, the Maya ruler of Palenque, was discovered in 1948. It took four more years to clear the rubble away so that researchers could enter the hidden chamber. The monarch’s remains were discovered clad in a jade mask with beads. Sculptures and carvings of Mayan underworld beliefs surround the ancient ruler. Pakal II supposedly died at age 80. However, the skeletal remains appear to be that of a 40-year-old. What’s more, a carving on the lid of his tomb has convinced some that Pakal II might not even have been human. The engraving became famous after the controversial 1968 bestseller Chariots of the Gods suggested that, if turned sideways, the image depicts Pakal II aboard a spacecraft. One viewer may see Mayan iconography related to death, rebirth, and the cosmos. Another sees a fuselage, complete with a breathing apparatus and controls. Art historians recently discovered a never-before-seen monument deep within Prague’s Loreto crypt, beneath the Church of the Nativity of Our Lord. The walls of the tomb are covered with intricate depictions of death, resurrection, and allegories for time. Dated to 1664, these amazing depictions of Ars moriendi utilize only black and gray to create a sophisticated shading system known as chiaroscuro. 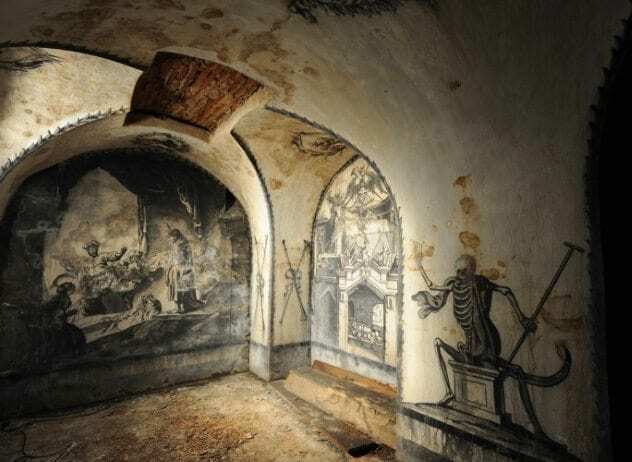 The paintings were discovered in 2011, when the crypt was opened for the first time in decades. Many of the works are inspired by Dutch art, including copies of Rembrandt. The identity of the artist remains a mystery. Some speculate that it might have been Cosmas of Austria or Viennese painter Tobias Pock. Both had a history of working with the Capuchin monks. It is also unknown whether the subject matter was selected by the artist or the crypt’s patron, Countess Elisabeth Apollonia of Kolowrat. 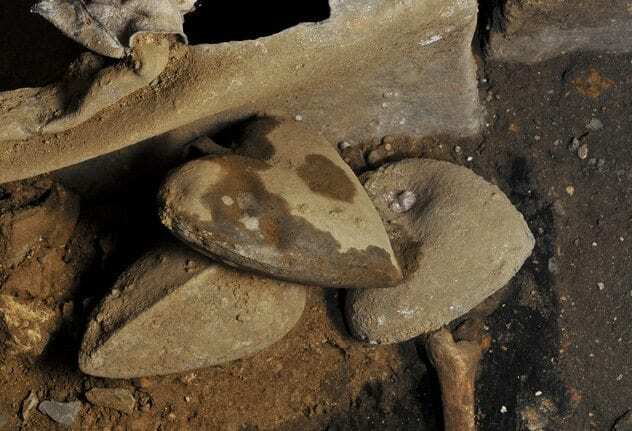 The hearts were cleaned and removed of embalming material so that they could be analyzed with MRI and CT technology to get a glimpse into ancient circulation. One heart had no disease, while three others showed serious blockages, including plaque and atherosclerosis. Researchers discovered a knight’s heart inside the grave of Louise de Quengo, Lady of Brefeillac. It belonged to her husband, Toussaint Perrien. The practice of being buried with the heart of one’s spouse was common during this period. In 1980, archaeologists discovered a hidden crypt in Jerusalem. The Talpiot Tomb contained ten mysterious ossuaries. 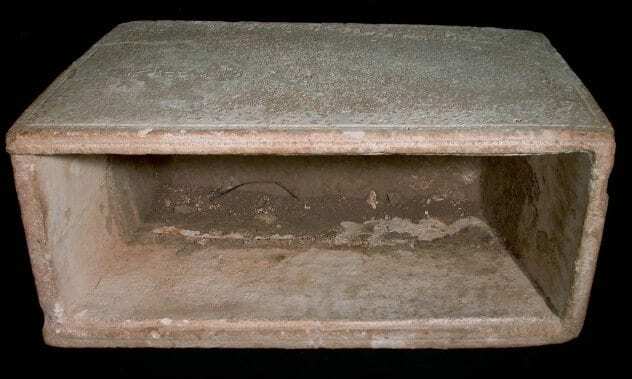 Some claim these boxes, meant for holding human remains, are definitive proof that this was the final resting place of Jesus of Nazareth and his family. This discovery meant that Christ not only was not raised from the dead, but had a wife and children. Inscriptions on the ossuaries reveal them to belong to “Jesus, Son of Joseph,” “Mary, the master,” and even “Judas, son of Jesus.” Some have been lead to believe that this means Christ, Mary Magdalene, and their son. Some critics argue, however, that the name “Jesus” is actually “Hanun.” Others believe the inscription on Mary’s ossuary has been mistranslated and should read “Mariam and Mara.” They believe this ossuary contains the remains of two females. In addition, the inscription on Mary’s ossuary is in Greek, while the others are in Aramaic.